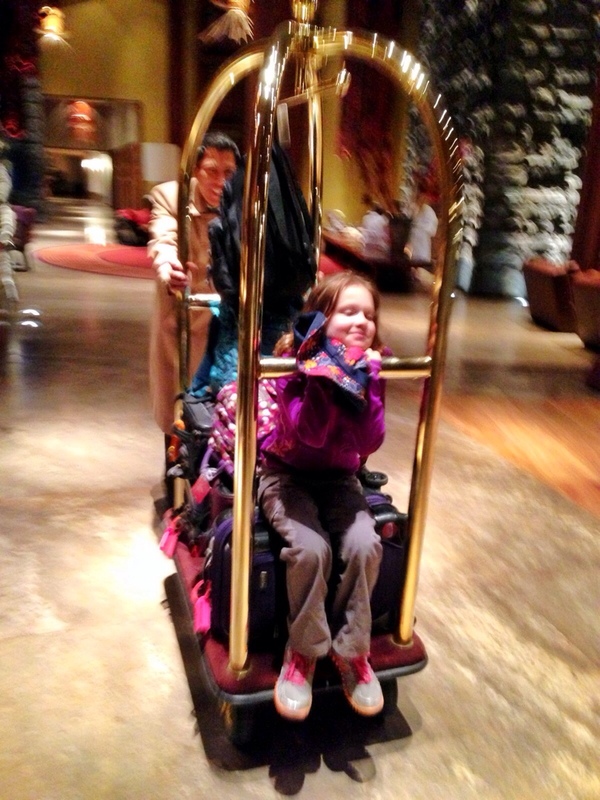 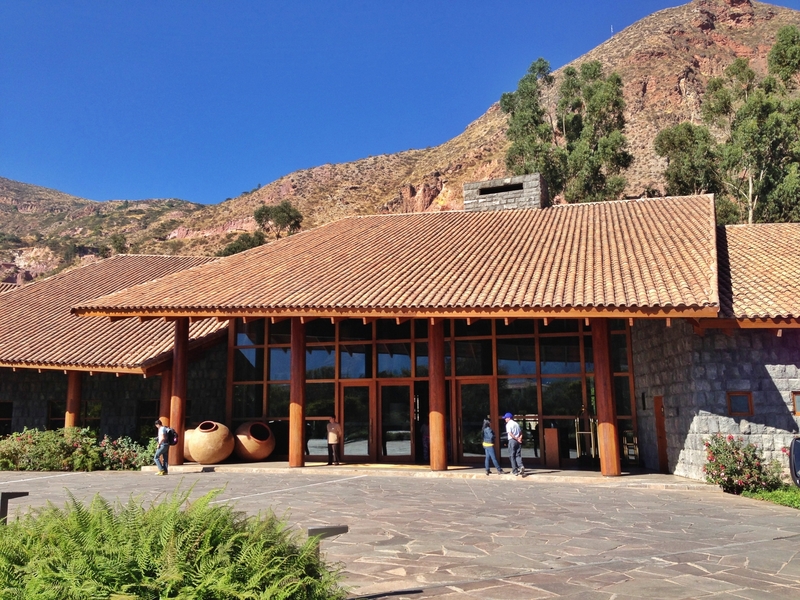 In Urubamba, we stayed at the Tambo del Inka, a relatively new hotel in the area and part of Starwood Luxury collection. 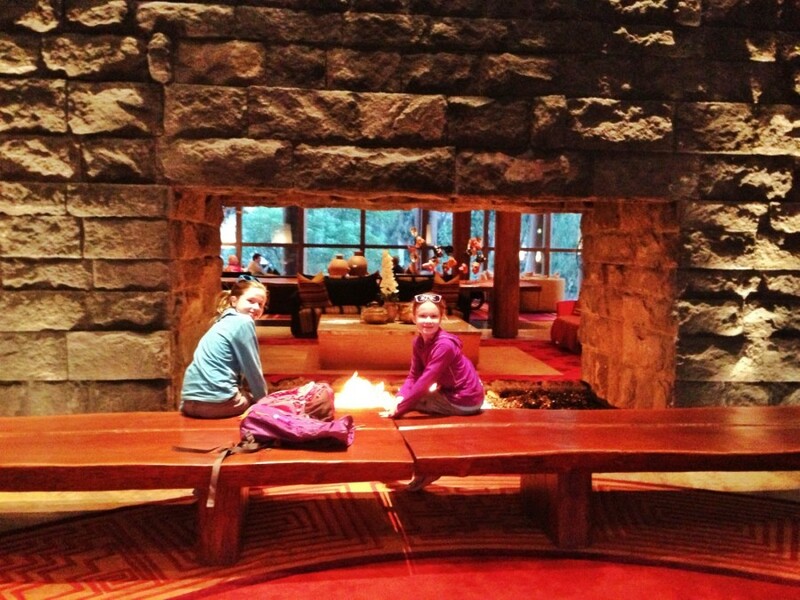 It provided a nice quiet space to relax and acclimate to the altitude the first night. 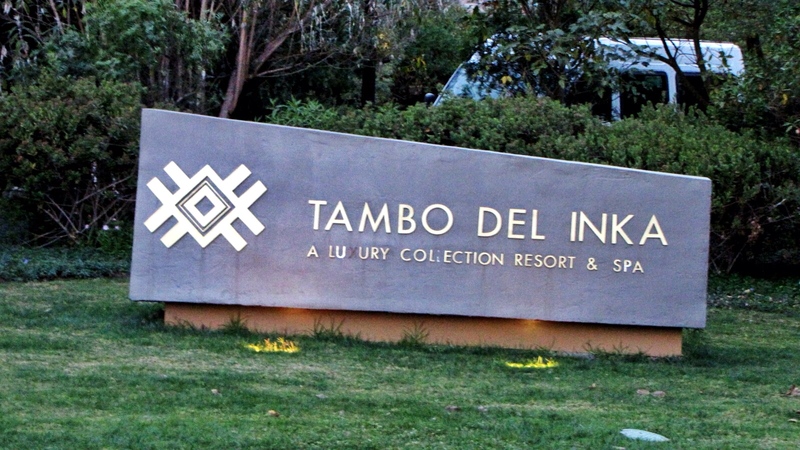 From the outside, the hotel tries to blend in with the surroundings by using some local materials, and it does not look ostentatious. 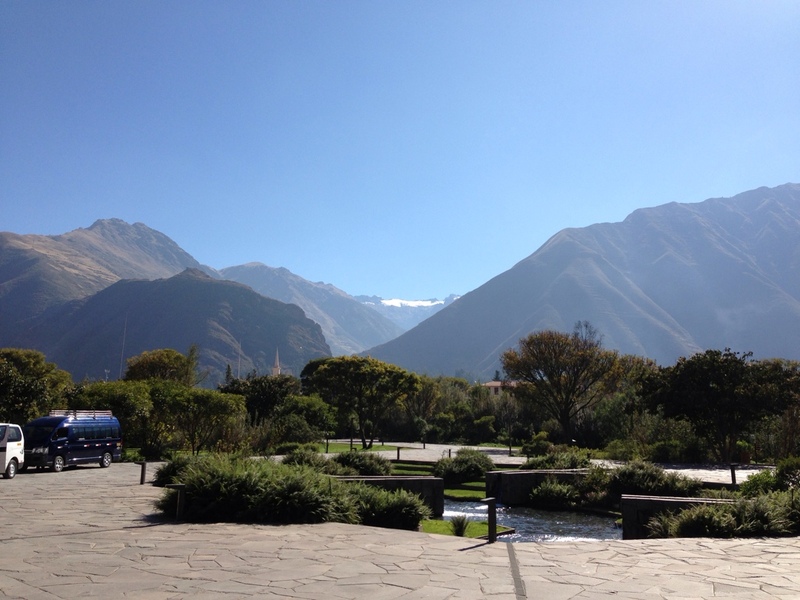 The view from the the front of the hotel is on par for the Sacred Valley, lined up to see a glimpse of Nevado Chicon, which was easily viewed from Maras. 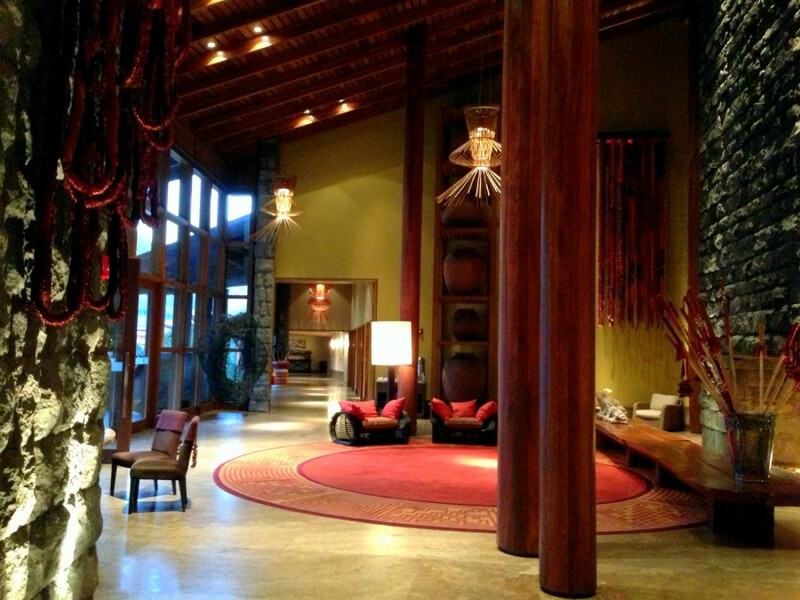 Inside, the lobby is enormous, with towering columns and a massive double-sided stone fireplace, perhaps inspired by Inca stonework. 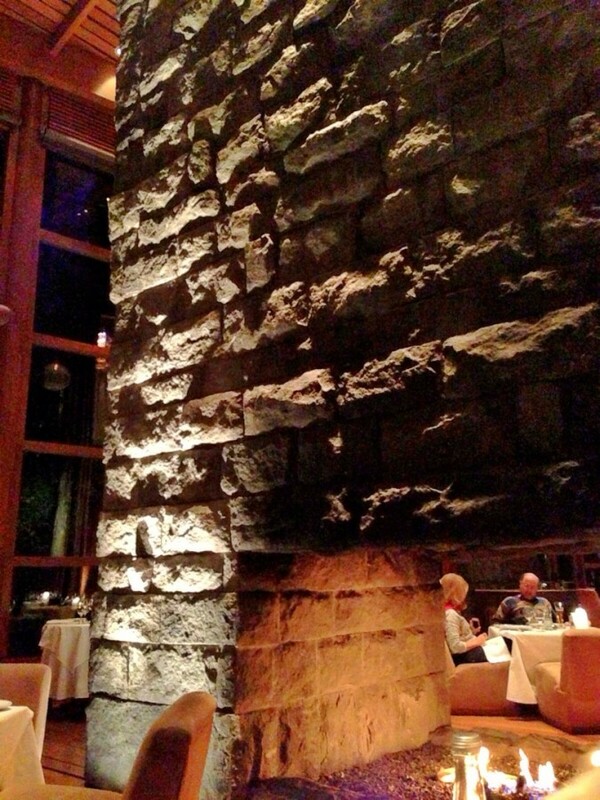 Downstairs, the restaurant also boasts a see-through central fireplace. 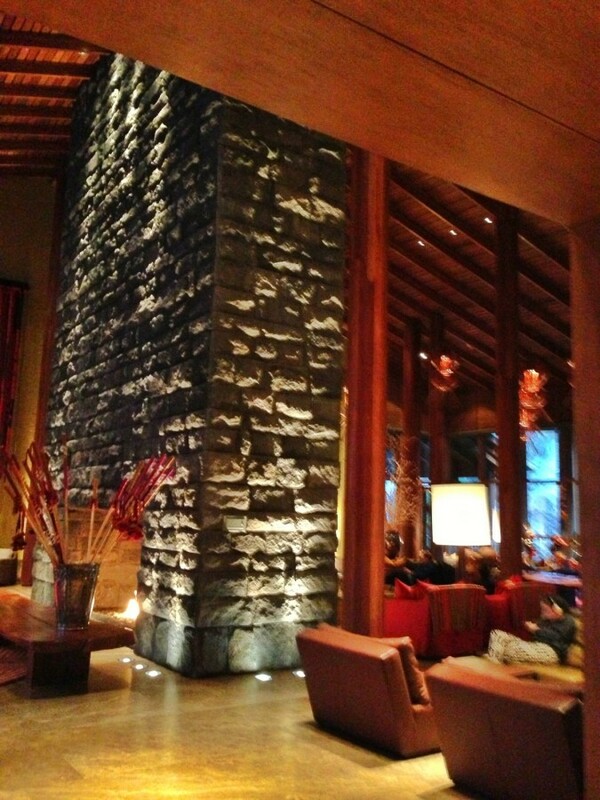 The menu offers a blend of local ingredients with international dishes. 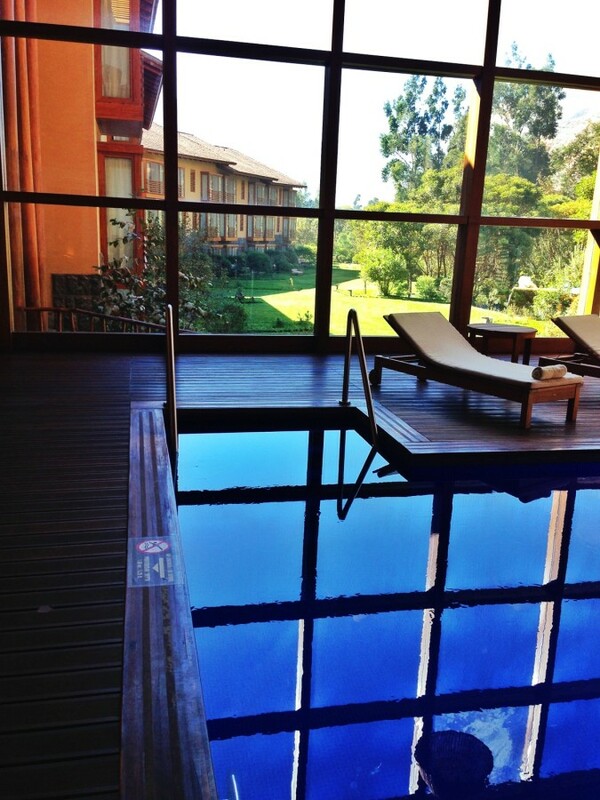 The indoor/outdoor pool is gorgeous, albeit a bit cold, but we had fun swimming from inside to outside and back under the low hanging wall. 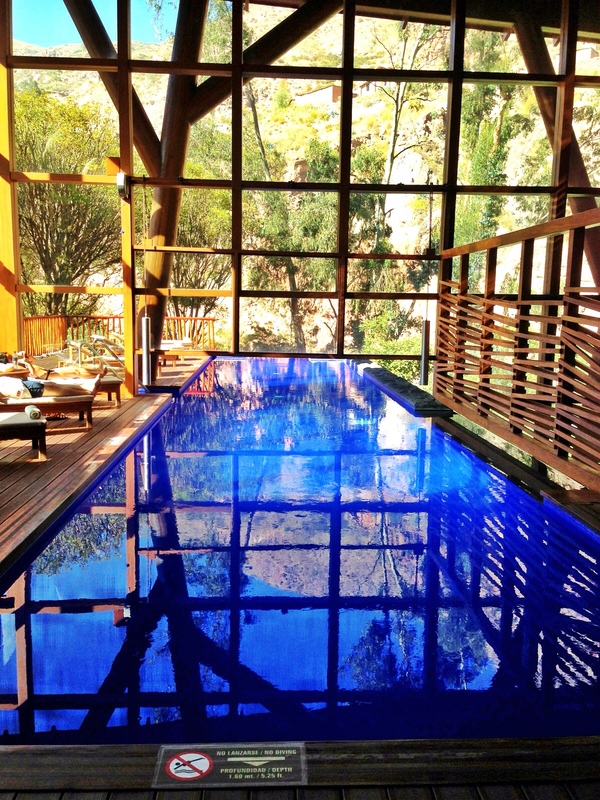 The enclosed glass space creates a nice solarium in which to lounge and relax. 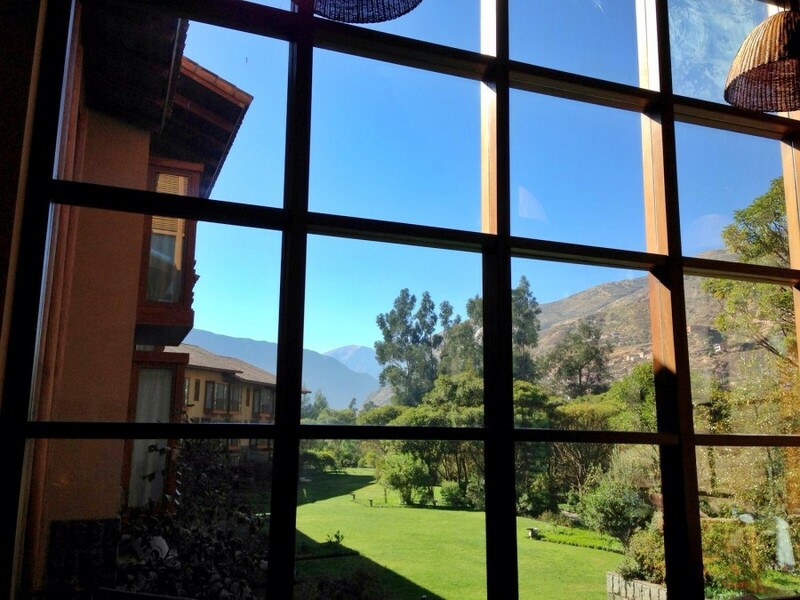 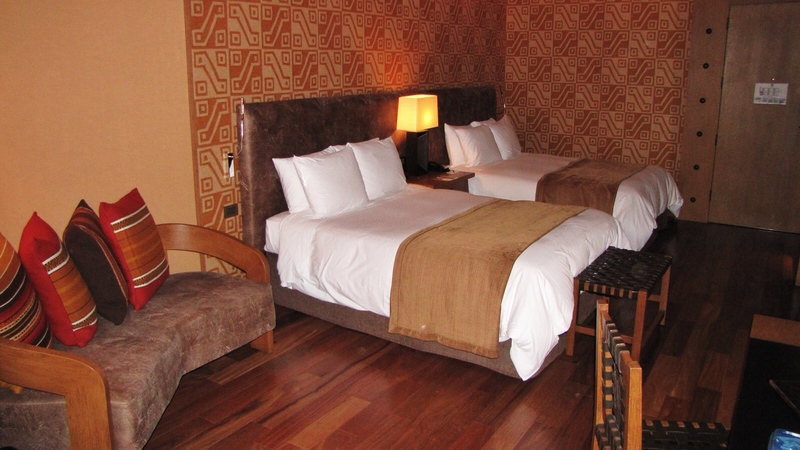 We enjoyed our stay at Tambo del Inka, and it provides a nice relaxing home base to explore the Sacred Valley.